Aduddell’s Safety Program and Substance Abuse Program provide a safe working environment for our employees, subcontractors and those affected by our activities. Our commitment to safety is integrated into everything we do, as we believe safely delivering projects makes good business sense. Aduddell complies with all known Federal, State and Local Regulations governing safety. Our objective is to maintain a safe and healthy workplace for all affected persons. Our success is measured by positive attitudes and reduced injury and illness numbers which surpass the best experience of operations similar to ours. Formal safety inspections are conducted on a weekly basis. Informal safety inspections are a continuous process by the Project Superintendent and all other personnel with supervisory authority. Observed hazards are immediately corrected. 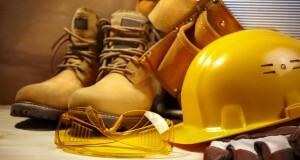 Periodic visits are made to the jobsites by a Project Safety Coordinator or the Safety Director. The primary purpose of these visits are to assist and train Aduddell Superintendents in safety and compliance issues and to offer an extra set of trained eyes in addressing potential hazards. These visits are conducted by our Safety Department Staff who are skilled and certified professionals. Aduddell also has a safety recognition program where employees are rewarded for extra effort in hazard recognition, avoiding accidents and developing safe work habits. Our Substance Abuse Program covers pre-employment, post accident, random and for cause situations. New hires receive an orientation before going to work and ongoing training on a period basis. Aduddell Management is firmly committed to providing a safe and healthy workplace and expects the full cooperation of all personnel in meeting this goal. There is no task or project so important that its completion precludes safety. © 2015 Web Design by Beasley Technology, Inc.